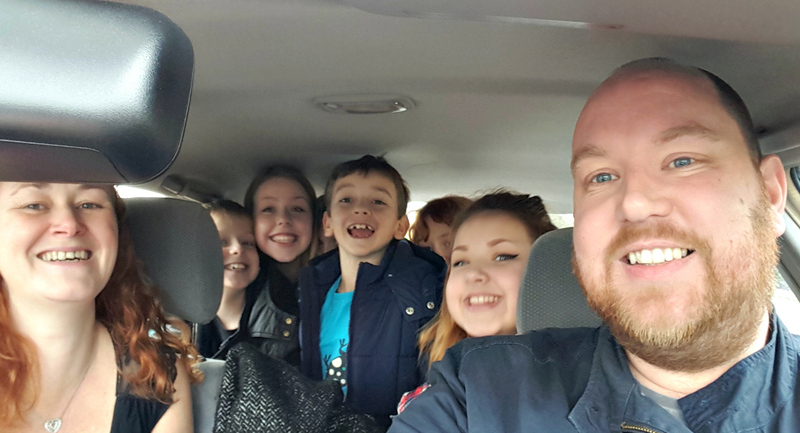 It’s not often that we get all of us together from Mrs DannyUK’s family and mine, but this weekend I managed to get a photo of 2 adults, 6 kids at Knowsley Safari Park. It’s the first time that we had got both sides of the family together in over a year which is reflective of one of the down sides to a long distance relationship. Naturally, with kids aged between 8 and 15 we needed an activity that would suit everyone. Gone are the days of bundling everyone to a soft play area so that they could tire themselves out. Mrs DannyUK bought the tickets, which were half price as there was a Half Term / Half Price offer on and we made sure that we were there in time for the 10 am opening. Having been to a safari park before, Mrs DannyUK was quick to point out that the monkeys were more mischaeveous after lunchtime and so would rather drive through in the morning in the hope that her newly-fitted windscreen wipers would be saved from being a post-breakfast simian treat. From left to right: Mrs DannyUK, Chance, Charisma, Brooke (in the background), Matthew, Emily and Aaliyah. Oh, and me! Despite getting there early we still had to queue to get in because the park didn’t officially open until 10am, but we were on our way in no time at all. We managed to get a couple of YouTube videos of our time there, as well as some Instagram pictures (namely the girls together and a couple of rhinos). My favourite picture of the day is probably the one above, as it’s so rare to get all (or most) of us in one shot. By the time this post goes live we will be packed and ready to go home, with a four-hour journey down the M6 and M1 awaiting us on Sunday daytime. Ha ha brilliant photo Danny! I’m sure you all had an amazing trip…if a little squashed. Awesome group photo. I’ve heard it’s a good place to visit. I hope you had fun.